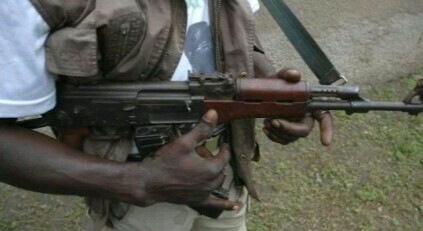 Unidentified gunmen have killed Mr Azi Magaji, the head driver to the Plateau House of Assembly Speaker, and Mr Edward Ankpa, a security personnel with the Jos University Teaching Hospital (JUTH)..
DSP Terna Tyopev, the Plateau Police Public Relations Officer (PPRO) confirmed the incident to the News Agency of Nigeria (NAN) on Sunday in Jos. Tyopev said the killing occurred Saturday night in Zarazong community of Jos North Local Government Area of the state. Magaji was walking by when he was attacked by the gunmen. “Last night, at about 9.p.m, we received a distress call that there were sporadic gunshots at Zarazong area of Jos, a community that houses Jos University Teaching Hospital( JUTH). Immediately the Police mobilised to the area. ” On arrival Mr Azi Magaji, the driver to the Speaker and Edward Ankpa, a security guard with JUTH were found dead. “They were immediately rushed to JUTH. They were confirmed dead by the doctor on duty,” he said. The PPRO said Messrs Kopdi Monday and Nenman Popdak, security men on duty at JUTH Gate 4, were also found with gun shots and were rushed to the same hospital where they are currently taking treatment. The image maker said investigation to unravel those behind the dastardly act is on top gear and asked any member of the public with useful information to make it available to the Police. He urged residents to be calm and law abiding as the police would get to the root of the attack.